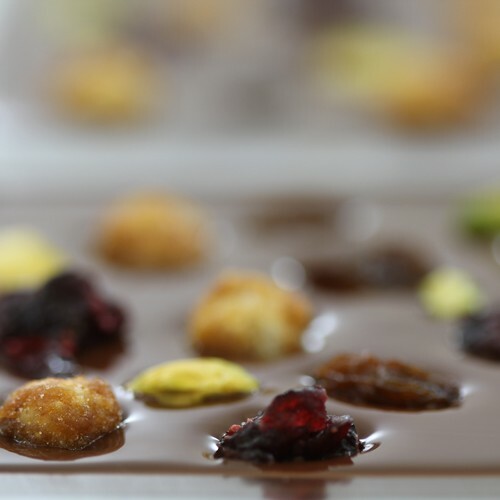 These French chocolates are a timeless addition to any party, their unique flavour and beautiful adornment of fruits and nuts standing like jewels in the inviting chocolate, beckoning you to take a bite. 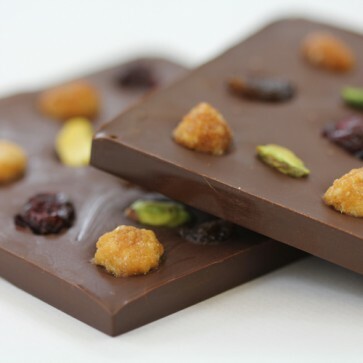 Revel in the sweet melting chocolate and zing of dried fruits coupled with delicious nuts as these gorgeous chocolates transport you to another time. 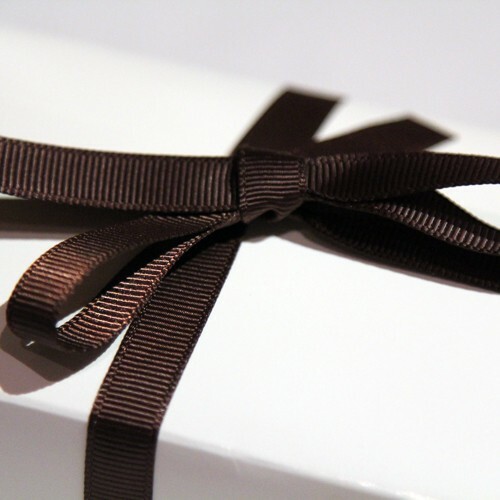 6 pieces packaged in a cellophane bag inside a white box and secured with a chocolate brown bow. Steeped in tradition, these timeless treats are sure to be an instant hit at any Christmas time get together. Treat yourself to our French classic and indulge your taste buds in the unique flavour of our irresistible mendiant chocolate. Lose yourself in pure deliciousness as you bite down into sweet, creamy chocolate and embrace the flavour of tangy jewels of dried fruits and nuts studded throughout, giving you a mouth-watering surprise every time. Order a box of these for your guests and it will be a party they talk about all year! Sent by recorded first class post (delivery date estimated only) or by courier for larger quantiies.